A number of past planning efforts have informed this plan. The 1998 Outlying Parcels Land Use Plans established key elements of the planning and transportation systems for the development of the Carolina North property. Subsequently, the 2000 Horace Williams Master Plan provided a strategic vision for the near term (10–20 years) and long term (100 years) and helped establish more specific design concepts for a mixed-use research campus. The Horace Williams Citizen Committee, a town appointed committee, responded to the Plan’s general principles, also with a focus on sustainability at Carolina North. In response to the commitment to develop Carolina North as a model of sustainable community, a planning process was organized in 2006, to address concepts related to ecological principles, infrastructure, high-performance buildings, and integrated sustainable design. 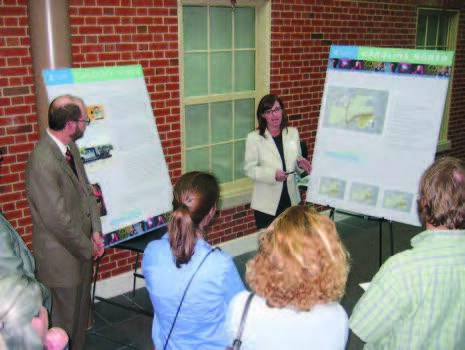 In March 2006, the University created a Leadership Advisory Committee (LAC) to provide input and broad discussion regarding the planning of Carolina North. The LAC, consisting of representatives of the University, three local governments and the local community, discussed critical aspects of the project. 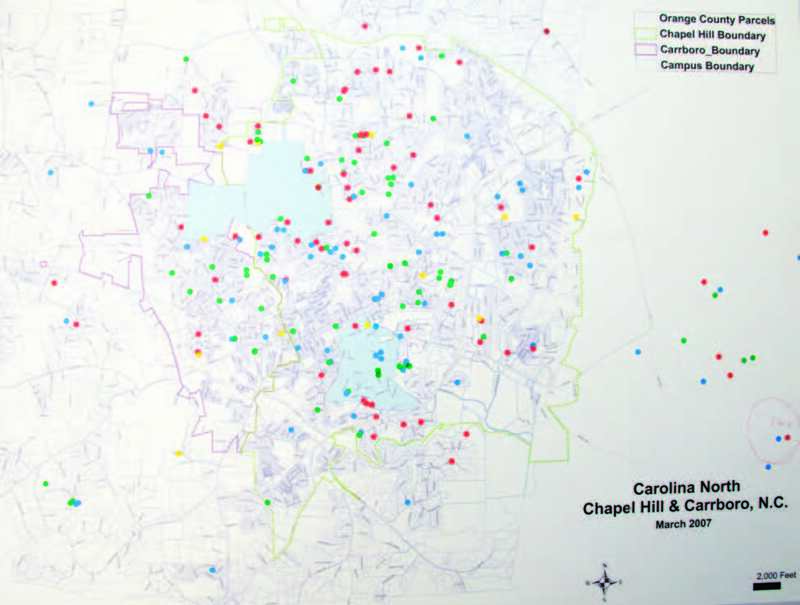 In January 2007, the committee generated a final report documenting areas of agreement and disagreement on major issues for Carolina North. This report informed the subsequent planning process and community meetings. 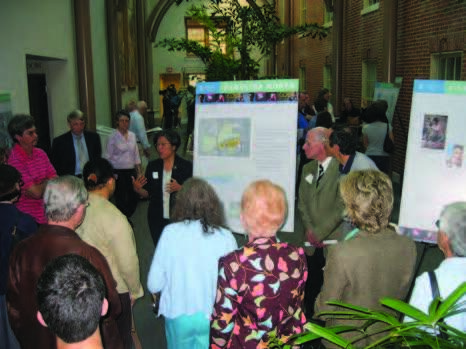 Between November 2006 and January 2007, input was gathered from a variety of stakeholders and experts to help shape effective plans for Carolina North. These workshops, concentrating on infrastructure and ecological assessment, helped gather and assess technical information fundamental to the project planning, and allowed the University to develop information needed for a meaningful exchange in subsequent public forums. The monthly public forums that started in March 2007 and followed the technical workshops were open to the entire community and offered opportunities to further refine ideas. Each session was well attended, with participants from the Town, the community, the University, and a variety of interest groups. Over the course of these workshops and public sessions, multiple development strategies, a conceptual site diagram, and a preferred 50-year plan were developed.